Roses — some of the most beautiful and versatile colors that you can give for almost any occasion. There are many varieties of these flowers, which may hinder the choice. The most popular are the bouquets of three, seven or twelve roses, this is because in the past these numbers were considered relevant to the Christian tradition. Twelve roses symbolize sincere and strong love to the grave. You should not choose bouquets with lush packaging, the roses themselves are lovely, they do not require additional decorations. With roses you can Express a range of emotions. White roses, presented as a gift to Express your admiration. These flowers are presented in honor of the first, sincere love. White roses symbolize the eternal, the pure and strong love, stronger than passion (symbolized by the red flowers). That is why most brides bouquets consists of white roses. 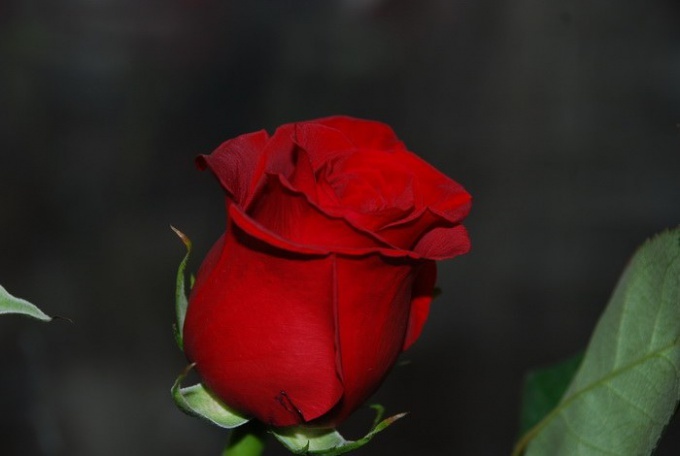 Red roses have since ancient times been a symbol of the real, earthly love. These flowers symbolize passion and desire. Bouquet of red roses can help you Express your feelings. Connected together red and white roses symbolize unity, love and harmonious passion at the same time. And white roses with red trim are the same value. The combination of red and white colors in a bouquet of roses says about the desire to become one with the girl that you are giving it. But pink flowers most suitable for expression less passionate feelings. Bouquets like roses are often given to Express gratitude and admiration. You need to consider the following point: young girls are usually presented to a half-opened rose, fully opened buds give women are of age or married ladies. If you are not interested in the symbolic meaning of flowers, you can give roses to match the color of girl's hair. Brunettes give roses rich, dark colors, chestnut and red-haired girls — pink and purple flowers, blondes, peach and cream. One should never give yellow roses, unless you are sure that she prefers these flowers. The fact that yellow roses are associated with separation and change, which may cause misunderstanding on the part of the receiver side. I must say that sometimes a single rose can be more expressive than a bouquet of flowers, it is important only in time to present it under the right circumstances. Scarlet rose Bud on a long dark green stem, very loudly speaks about your feelings to the girl. If you are very concerned that the girl you correctly will understand or will be a miser, give her along with a rose something else.